When visiting one of Sorigué Foundation’s latest art installations at the family-run industrial and agricultural company – located at the entrance of the industrial complex of La Plana del Corb (Balaguer, Lleida, Catalonia) – even if the viewer has a fore-knowledge of the company’s extensive art collection and its foundation, one would not expect to find art situated in the heart of this Catalan industrial landscape. Like walking on the moon; we pass between great mounds of aggregate growing out of this ‘moonscape’; a vast opencast mine, peppered with ancient olive trees, and hard-hatted workers, as we head towards a conspicuously clean minimalist building. 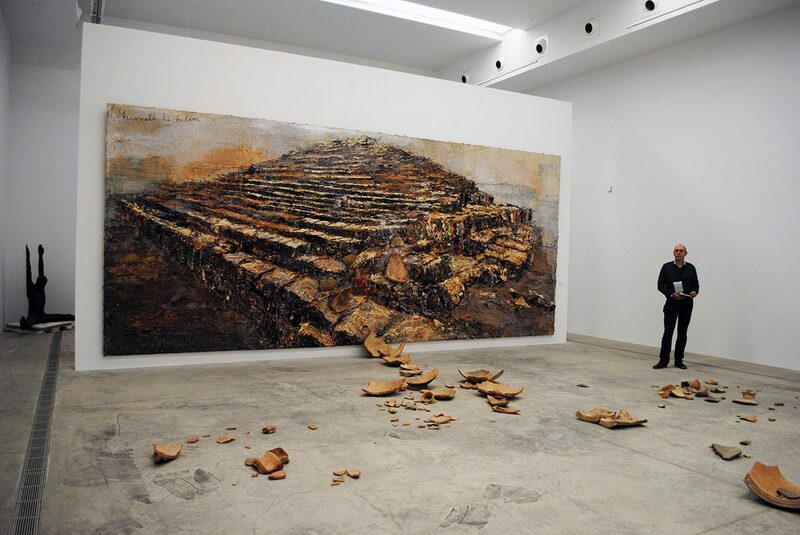 Image: Anselm Kiefer, ‘Shevirath Ha Kelim’ (2009), Kiefer Pavilion, PLANTA project, Fundació Sorigué, Lleida, Spain. Photo: P A Black © 2018. This is the Kiefer Pavilion, the Foundation’s first site-specific gallery space, which houses three large paintings by the German artist Anselm Kiefer. The Sorigué Foundation has been building one of the most important contemporary art collections in Spain for the past 15 years, a collection of more than 450 works by artists including Doris Salcedo, George Segal, Antony Gormley, Anish Kapoor, Cristina Iglesias, Tony Cragg, Eric Fischl, Kiki Smith, Juan Muñoz (whose final work ‘Double Bind’ is also installed in this vast industrial landscape) and, of course, Kiefer. Image: Anselm Kiefer, ‘Die 7 Himmelspalaste’ (2005), Kiefer Pavilion, PLANTA project, Fundació Sorigué, Lleida, Spain. Photo: P A Black © 2018. Dust-covered miners wander past the minimalist housing of the artist’s monumental and very ‘physical’ paintings, which are highly evocative of the great mounds of unearthly aggregate – living in the moonscape they subsequently reflect. 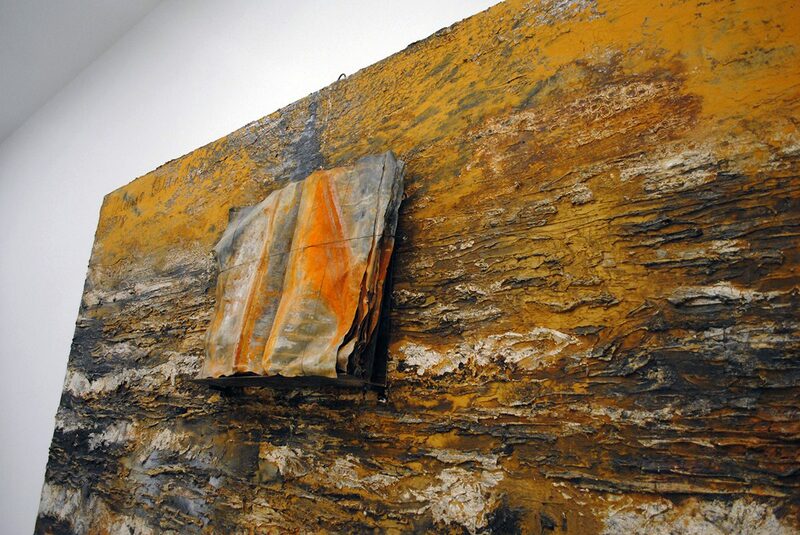 Image: Anselm Kiefer, ‘Fur Velimir Chlebnikov’ (2005), Kiefer Pavilion, PLANTA project, Fundació Sorigué, Lleida, Spain. Photo: P A Black © 2018. 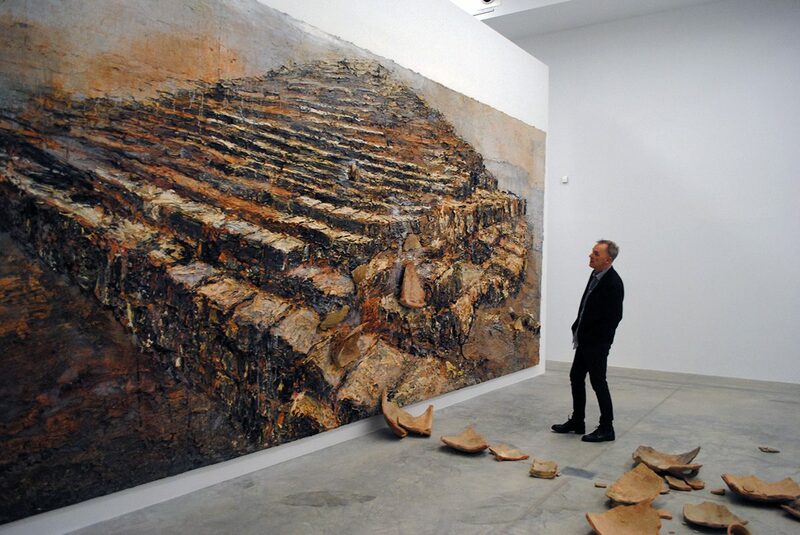 In fact one can easily imagine Sorigué’s engineers drawing a comparison between the artist’s heaped mounds of paint, and the great mountains of mined aggregate surrounding the minimalist Kiefer Pavilion; the installation of paintings could easily be seen as a direct response to – and dialogue with – the raw materials of this opencast mine, resulting in paintings seemingly built from the surrounding earth and grit; fitting considering the artist’s use of materials. 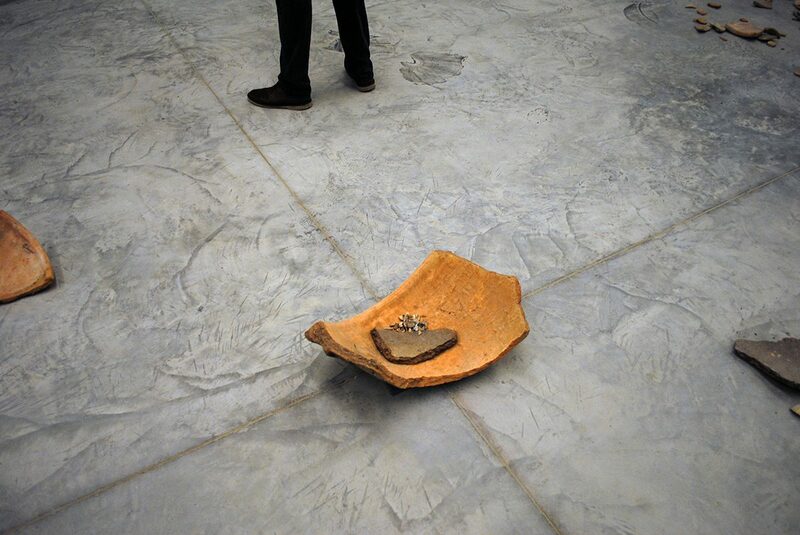 Image: Anselm Kiefer, installation detail, Kiefer Pavilion, PLANTA project, Fundació Sorigué, Lleida, Spain. Photo: P A Black © 2018. 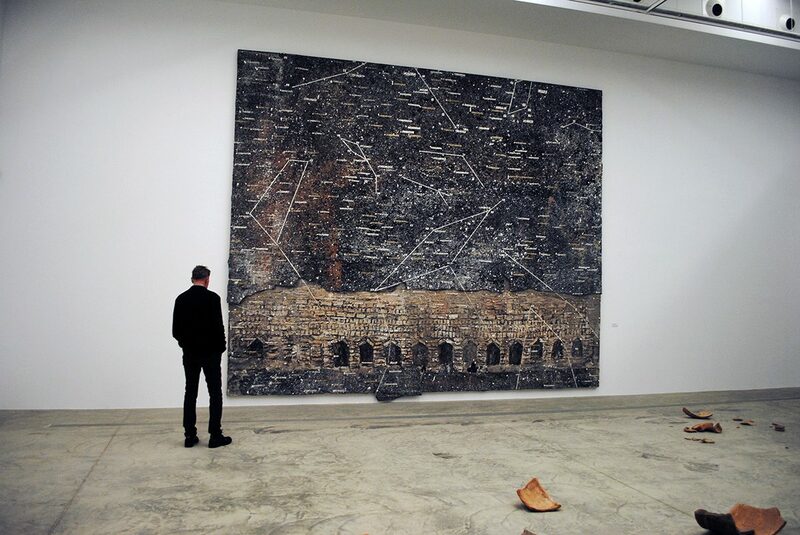 About the artist: Anselm Kiefer (born 8 March 1945) is a German painter and sculptor. Kiefer’s works incorporate materials such as straw, ash, clay, lead, and shellac. The poems of Paul Celan have played a role in developing the artist’s themes – as have the spiritual concepts of Kabbalah – Kiefer’s themes have included German history and the horror of the Holocaust. 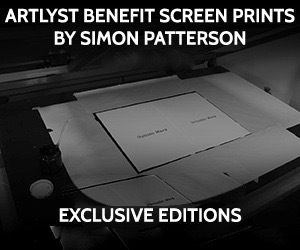 The artist studied with Joseph Beuys and Peter Dreher during the 1970s.